If you are looking for a basic introduction to binary options, the Binary Options eBook from Global Trader 365 might help you understand the ins and outs. However, it’s important to note that the information is rather basic and simplistic. While you will get the basics of binary options trading, and learn some basic strategies, you won’t see much for the truly advanced trader. The ebook is presented in a format that looks like a book, with turning pages and everything. However, it can be difficult to read unless you use the zoom feature. Adjust the feature until you are comfortable with the text on the screen in order to avoid straining your eyes. Once you have adjusted the ebook, you can begin learning about binary options trading. I like how the book begins with background on trading. Instead of jumping in, the book says, you should learn about the markets you plan to trade in, and provides background to the global trading climate, including looking at your different options on a global scale. Not only that, but you get a quick overview of prices, and how they are affected by various events. 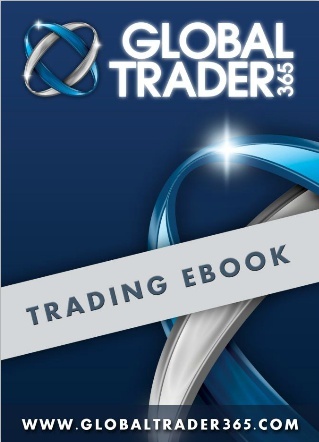 Once you understand how global trading works, the ebook then addresses binary options, and how they are traded. A list of common terms can help you grasp exactly what you are doing, so that you understand the language used in trading. I especially like the examples and illustrations throughout the book. The images make it easier to understand some of the concepts being discussed, particularly during the section on binary options trading strategies. Also included with the chapters are exercises you can do to test your knowledge of what has been covered so far. This is valuable since it can help you recognize whether or not you are learning the information efficiently. Completing the exercises is recommended so that you get a better handle on your own knowledge. Overall, the Binary Options eBook is a solid resource for the beginning trader. The chapters are arranged logically, and are full of practical and applicable examples and exercises you can do to improve your ability to profit from binary options trading. Additionally, the glossary at the back focuses on concepts as well as terms, so it is a little more helpful than many other glossaries. If you are looking for a resource to help you get started in binary options trading, this is a good choice. You can learn the basics of how markets work, and even get some specific trading strategies to try out. It’s great for the beginner, even though it doesn’t have much to offer the experienced binary trader. Read more articles on Books & Guides, Reviews. Your favorite types of binary options?